Finding the right gift for someone isn't always that easy. 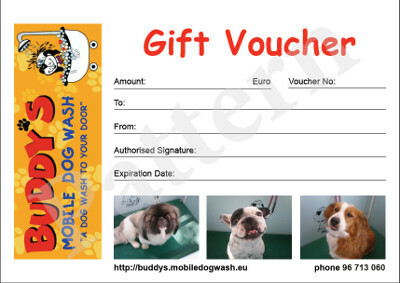 But with the Gift Voucher from Buddy's Mobile Dog Wash you can't be wrong. What can be better than pamper your beloved ones pets? It's always welcome, whether it is a birthday present, a Christmas gift or just to show appreciation. Contact us if you want to know more.